We just wanted to write something for everyone to know what is currently going on with the Hooked Up II and the crew. enjoying the good weather. 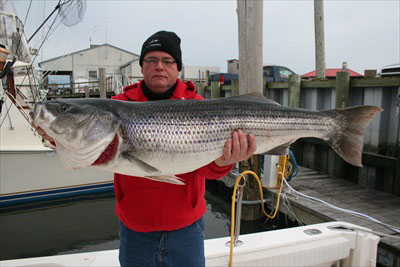 This year seems to be a bit different….Winter seemed to hang on for a bit too long and the cold temperatures really affected the spring striper bite. Basically, there hasn’t been much of a bite. We were anticipating the warmer weather 2 weeks ago and last week to bust the striper fishing wide open, but within the area we reguarly fish, that has not happened just yet. The stripers are approximately a 35 mile run up the bay from our port, so with any luck, in the next few weeks the spring striper run will pick up for our area! There have been a few black drum caught in our area both on the New Jersey side and the Delaware side. As soon as these fish show up in good numbers, we will begin fishing for black drum in the next few weeks. Due to the lack of fish, we have opted to postpone a few charters and cancel our open boat trips. All postponed charters will be rescheduled as soon as the fishing picks up! We feel this is only fair to our customers as we need them to have a good time, catch fish and get their monies worth on a trip aboard the Hooked Up II, especially given the current economic situation and the fact people are working harder for their money every day. We appreciate your business and will do what it takes to ensure you have the best trip money can buy aboard our boat. So…what have we been doing in the down time? 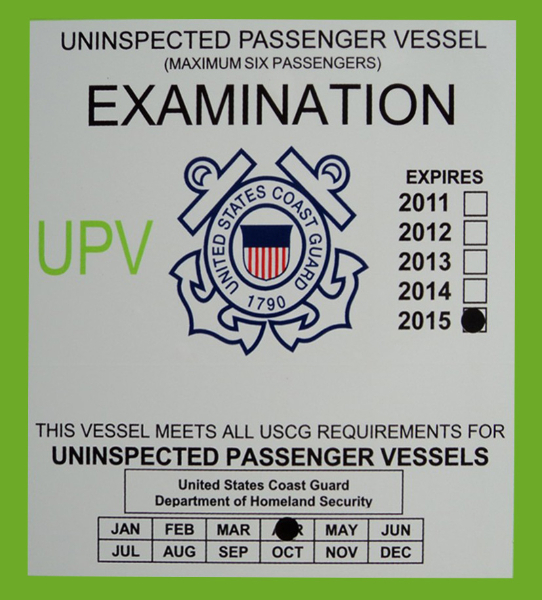 We are proud to say that we have achieved the highest safety rating available for an Uninspected Passenger Vessel by the United States Coast Guard. This is something we are proud of, and should be of interest to anyone aboard our boat. What does this mean to you? We can assure you that with the passing of this inspection, you are on one of the safest charter boats in the area if are on a charter with us. This is a voluntary inspection that not all charter boats participate in. We chose to participate in this lengthy and detailed inspection to give all of our customers the peace of mind about being safe on the water!!! …Remember, not all Charter boats are created equally when it comes time to safety. Be sure to check out our safety features on our “About the Boat” page.